Again a new type of puzzle. 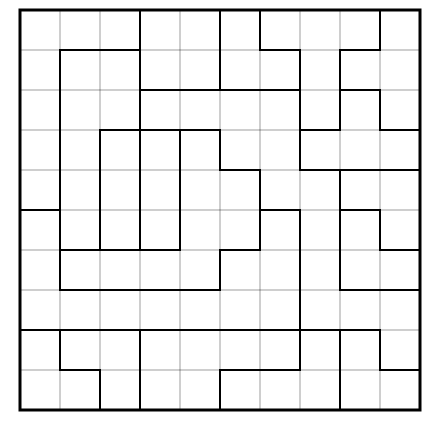 I am attempting this for the first time and quite happy with kind of puzzle i ended with. It is also called as Dominnocuous by Mathgrant and was invented by the Japanese puzzle company Nikoli. 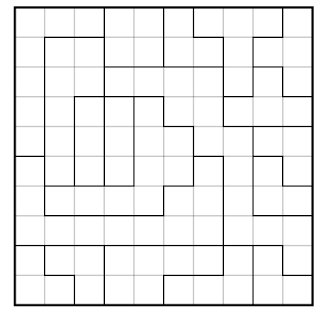 Shade in some cell such that every region contains exactly two shaded cells, and every shaded cell shares an edge with exactly one other shaded cell.